While perennials are celebrated for their low-maintenance qualities and ability to come back year after year, annuals are beloved for their rich and bright blooms that can last for weeks and weeks. 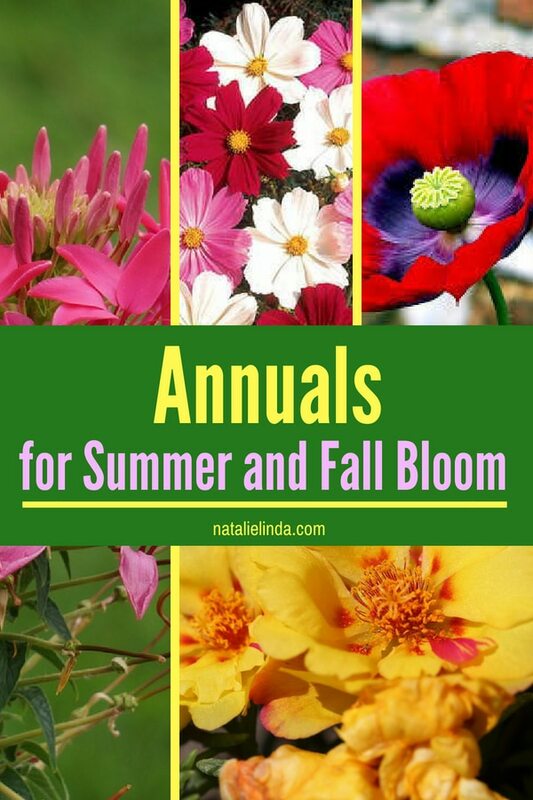 If you crave beautiful flower blooms in your garden all Summer long, then you need to plant some annuals in your yard, asap! Whether you’re looking for bright colors, height, or interesting flower petals, there’s an annual out there for you just waiting to be planted. But first, let’s talk about what differentiates annuals from perennials. Simply put, annuals grow for only one season and must be replanted year after year if you want to enjoy them in your garden next Spring. This means you’ll have to purchase new plants or seeds every year. Perennials on the other hand, can grow in the same spot for several years without replanting. Annuals can be a little more work than perennials for this reason but they definitely reward you with longer blooming times. Plus, some of the most striking and popular flowers are annuals. When you plant any of the flowers below, you’ll enjoy beautiful blooms through the Fall and reap the benefits of your hard gardening work until early frost! Another benefit of planting an annual is that it gives you the opportunity to figure out whether or not you like that particular flower in your garden. If you do, you know you’ll repurchase it next year, and if you don’t, you’ll know that you need to replace it with another flower. Now let’s delve into 16 of the most stunning annuals that would make any garden-lover swoon! This waxy flower is a stunner and one of the most popular annuals around. The deep green foliage gives way to small, wax-like petals that grow under beautiful foliage. They bloom from June to frost and come in shades of white, pink, red, and multi-color combinations. They’re also low-maintenance and easy to grow! 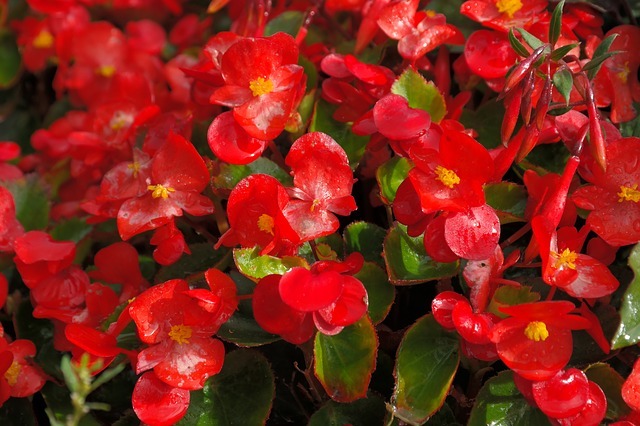 Begonias thrive in moist and fertile soil and can tolerate extreme temperatures. If you plan to use these as ground covers, try growing them indoors from seed a few weeks before Spring. 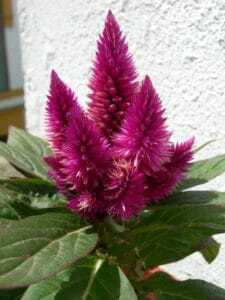 Also known as Feather Celosia, this flower is known for its unique and feather-like blooms, as well as its bright and rich color. It blooms from Summer to frost, so it’ll brighten up your garden for WEEKS on end. Provide it with moist, fertile soil and full sun. If you love a showy garden, then this is a must-have. 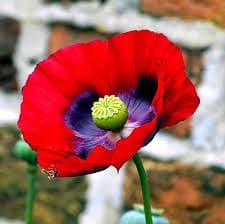 Poppy flowers are some of the most well-known annuals and for good reason. There are many different varieties, and some are actually grown as perennials. They can grow anywhere from 1 to 8 feet tall and will grow throughout the Summer! Make sure you look closely at blooming times before you purchase your seeds or potted plants, as some poppies have different blooming seasons. If you have containers that you want to fill in your yard or balcony, poppies are a perfect choice because they grow very well in pots. Here’s another popular annual. In fact, I don’t know any gardener who HASN’T grown petunias in their yard – they’re that popular! 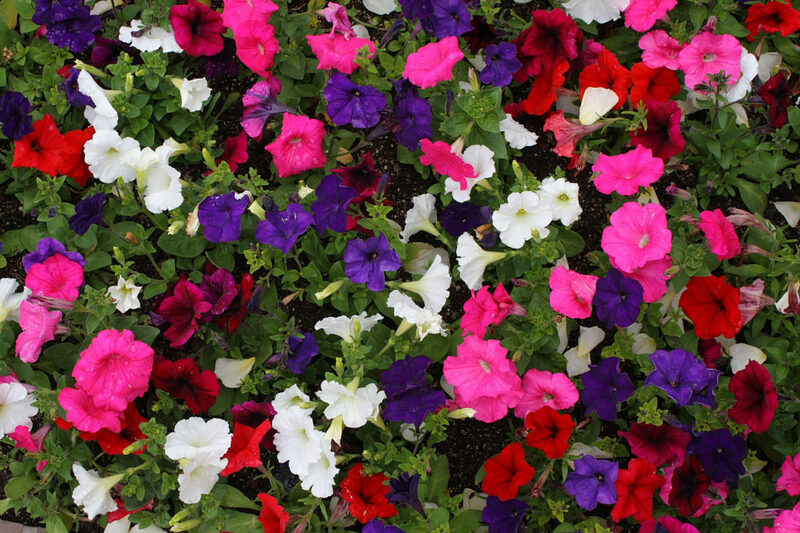 They come in several shades including purple, pink, blue, white, and yellow, so they’re perfect for adding variety and pops of color throughout your yard. The good news is they’re very low-maintenance, so if you’re a beginner gardener, this is an excellent flower to start with. Add petunias to the containers on your porch or patio if you have pots you want to fill. Make sure to provide them with organic matter and moist soil! 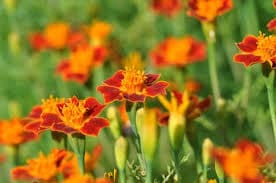 If you crave pops of bright yellow or orange in your garden, give the signet marigold a try. This annual can grow from 6 to 12 inches long and can bloom during Summer and Fall. 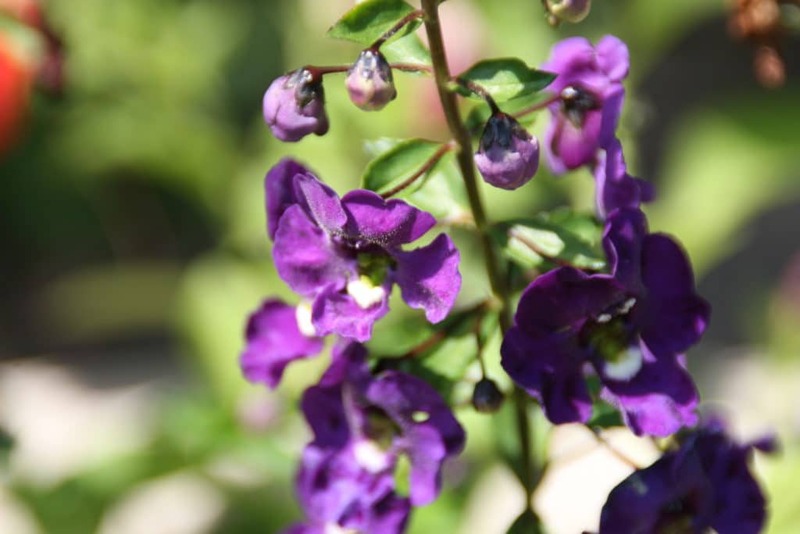 Both deer and drought resistant, this flower is pretty low-maintenance but does best in moist and well-drained soil. 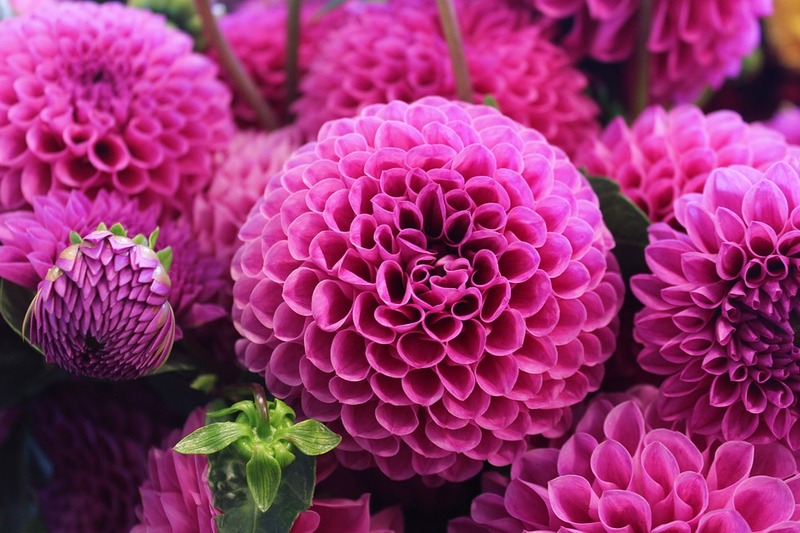 This gorgeous dahlia-like flower will bring height and a rich shade of purple to your garden. It blooms from Summer to frost and can grow in Zones 1-10. Zinnia Purple Prince is a wonderful flower to add to your cut garden and it also attracts butterflies and hummingbirds! Plant it in an area that gets full sun. 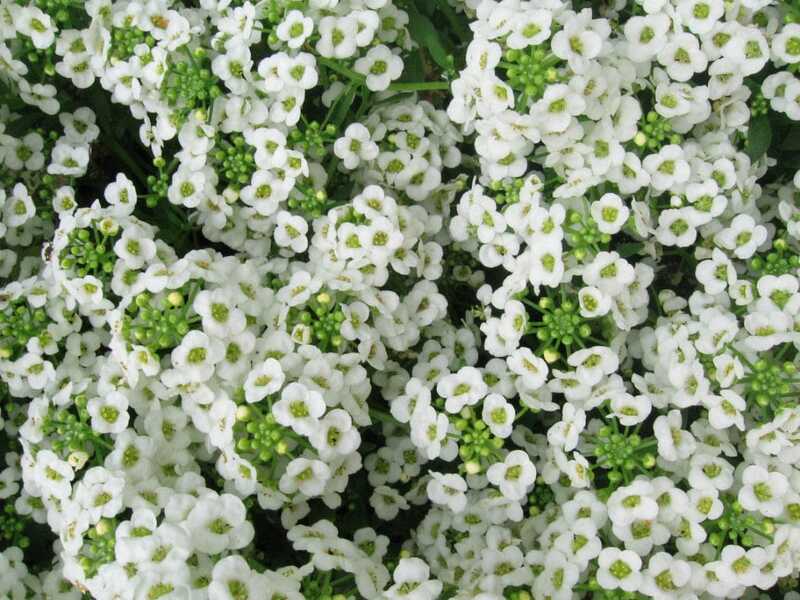 This annual is beloved for its clusters of soft white petals and for its ability to grow vigorously as a ground cover. It also produces fragrance, so add it to your yard if you crave a fragrant garden! This annual can grow up to 4 to 8 inches and requires moist soil with good drainage. This plant will wilt if dehydrated so make sure you water regularly. 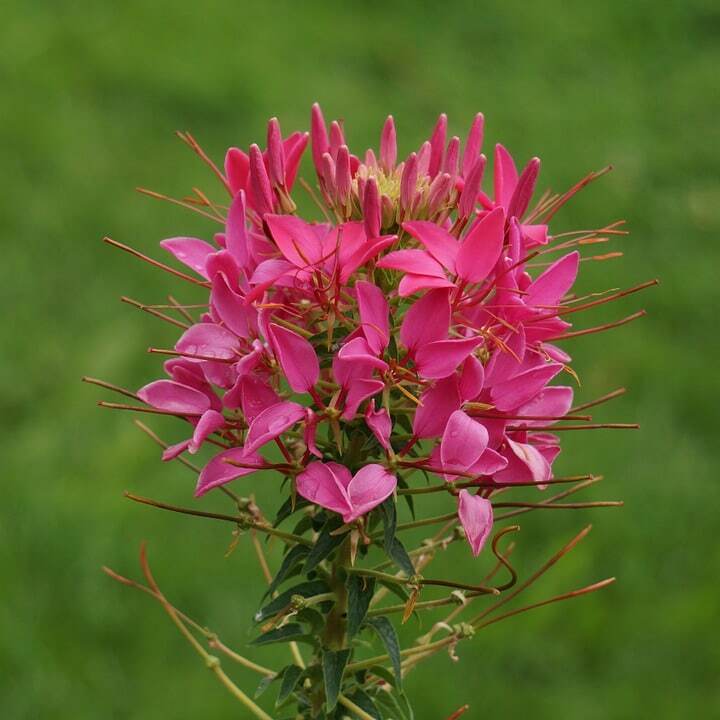 The Spider Flower aka Cleome Hassleriana produces fragrance and can grow up to 6 feet tall. It features unique spider-like stems of tiny petals that bloom from June to frost. Plant it in an area that gets full sun or partial shade and provide it with medium, well-drained soil. You can find this flower in shades of white, pink, and purple. This vining annual is the perfect choice if you don’t want to commit to a vine that will grow for years on end. Plus, it produces beautiful blooms that give off a lovely fragrance. Make sure to deadhead this beauty and provide it with fertilizer to encourage growth. 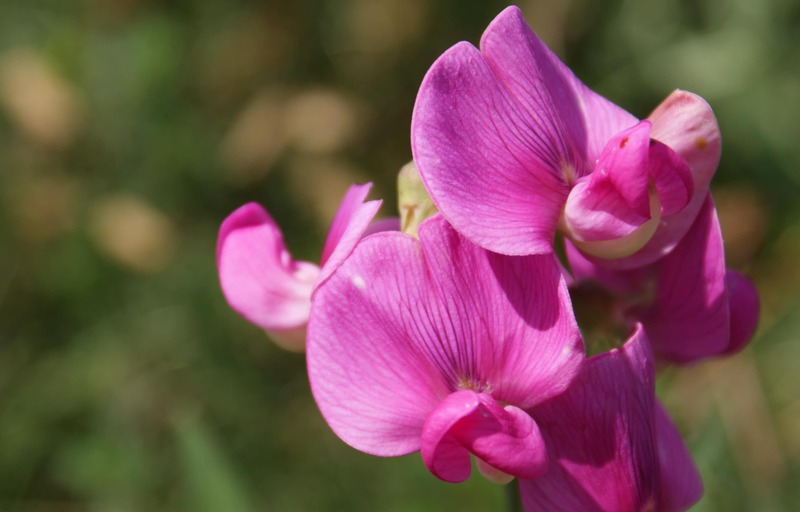 Try adding sweet pea to your cutting garden so you can fill your indoor vases or bouquets when it blooms! It’s hard to believe this beautiful flower is so low-maintenance, but it is. It requires full sun and will bloom throughout the Summer because it LOVES heat! This hardy annual is drought tolerant and can grow up to 2 feet tall. If you’re looking for a pretty annual that is heat, drought, AND mildew tolerant, then this beauty is for you! 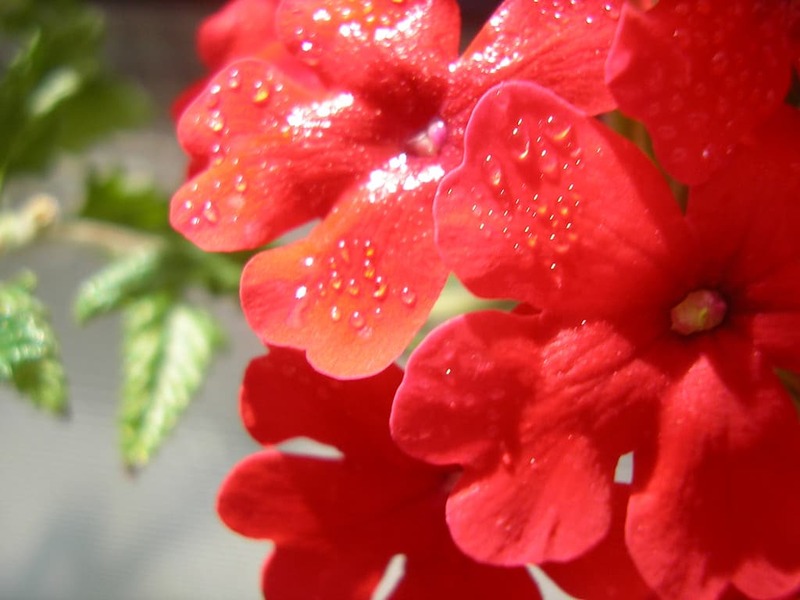 The Superbena Coral Red produces clusters of small flowers that bloom from June to frost. It can be grown as a perennial if you live in a zone that doesn’t have cold Winters. This annual features deep purple blooms that grow up to 12 inches in height. It grows well in containers and hanging baskets, so you can grow this beauty on your balcony if you don’t have a yard. It does a good job of “self-cleaning” which means you don’t have to bother with deadheading it, which is a major plus! This annual will bloom from Summer to frost. This daisy-like flower can be found in a variety of bright colors and they’re pretty low-maintenance, too. Their long and slender stems can reach up to 6 feet tall! Add them to your garden bed or to your containers, and use their blooms as cut flowers to add variety to your vases and bouquets. 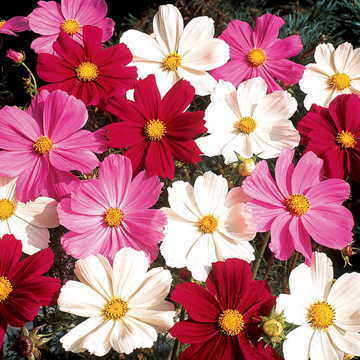 Cosmos aren’t fussy about soil so don’t overwhelm them with fertilizer. However, you definitely need to deadhead these beauties to encourage the development of new flowers. Moss Rose is one of the hardiest annuals around and is an excellent starting point for gardening beginners. It can tolerate both heat AND drought. 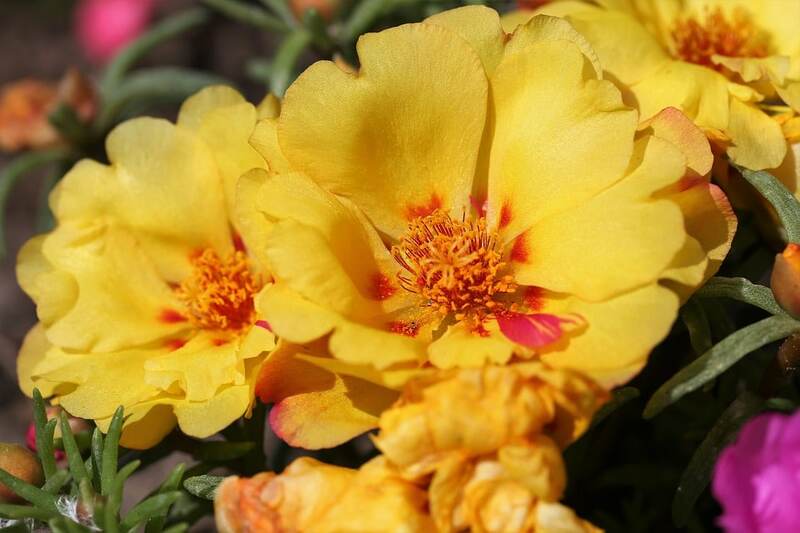 You can find Moss Rose in several shades including pink, red, yellow, and orange. 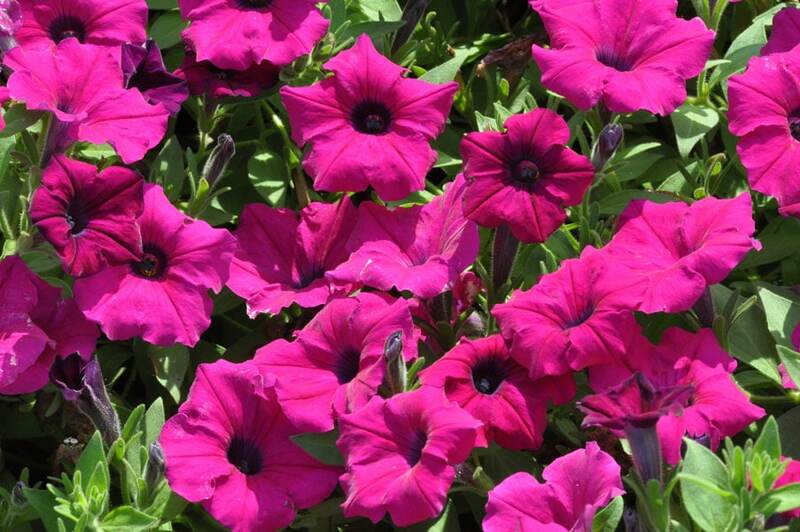 This low-maintenance flower is perfect for growing in containers and will produce blooms without deadheading! Make sure not to overwater, however, as this sun-loving flower doesn’t do well in overly moist soil. One of the prettiest annuals, the Ruffles Peach New Guinea features ruffled petals that add so much beauty to shade gardens. Plus, you won’t need to deadhead this flower as it’ll continue to bloom on its own. Plant it in containers, too, or add it to your cutting garden! Make sure to keep it away from full sun, though, or it’ll wither away. If you crave a striking flower in your yard, this sunflower is it. 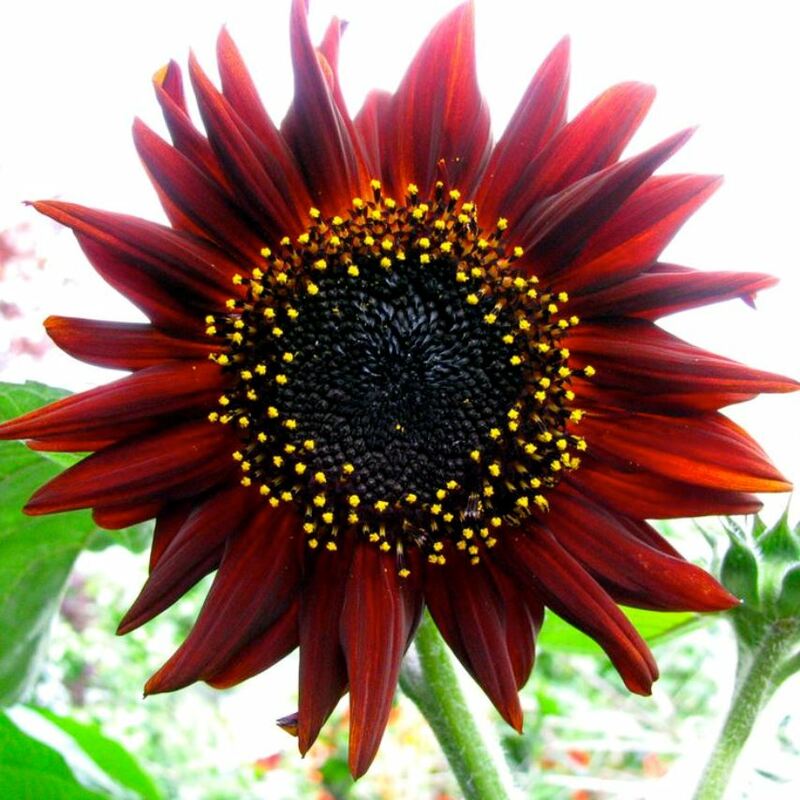 Featuring dark petals and a dark center, the Prado Red Shades Sunflower is a unique annual that thrives in sunny areas. Grow them in average, well-drained soil that’s slightly alkaline. Make sure to keep the soil moist because they do love their water! As with other plants that have tall but thin stems, they might need staking if you live in a windy area. 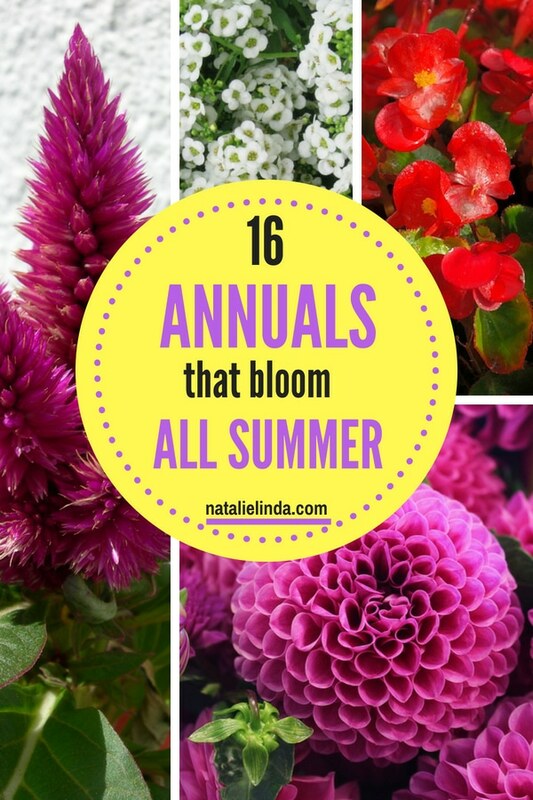 There you have it, some of the most beautiful and easy-to-grow annuals that will bloom all Summer long! Whether you start from seed or purchase potted plants from a nursery, these annuals will prove their worth to you with their long-lasting blooms.